Time To Upgrade Your Skincare Routine, Because Foreo Products Are Up To 35% Off! Your skincare goals are in reach and cheaper than ever. FYI — deals move quickly on Black Friday and Cyber Monday. We’ll do our best to keep this post as up-to-date as possible, but we can’t catch everything immediately. Check back throughout the week to see our latest updates as the deals change! Do you like skincare products? Do you want better skin? Well, have I got great news for you! Foreo is going on sale from the 22nd to 27th, and everything is up to 35% off!! Important takeaways: Their products are 100% waterproof and made out of silicone, which means they're gentle on your face and there's way less bacteria buildup. Plus, they're powered by ~T-Sonic pulses~ (hello, vibrations! ), which help clean below the surface of your skin, gently exfoliating and clearing pores *before* clogs turn into breakouts. 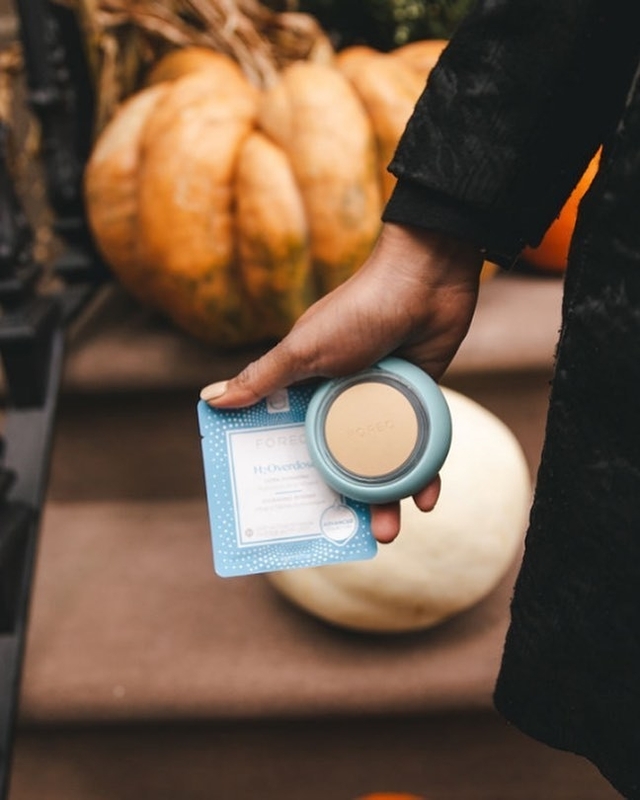 There are three different sizes of silicone touch-points so you can customize exactly what your skin needs, whether you have dry, oily, acne-prone, or aging skin. Let's start off with the original Luna, which dives deeper into your skin for a more thorough clean that your hands and washcloths could never replicate! And unlike your traditional cleansing brush, there's no need to doll out extra money to replace your bristle head attachments. Eight speeds, 8,000 pulsations per minute. Count 'em...or, more logically, just feel 'em working their magic! And the Luna Mini, hello there! Its ergonomic three-zone brush is designed with all skin types in mind and does everything the Luna does, just with a snugger palm fit. Next up is the Luna 2, which leaves your skin feeling super clean, soft and rid of dead skin, and totally refreshed in just 60 SECONDS! The brush areas on both sides are also considerably bigger than the original Luna, and there are 12 different speeds compared to Luna's eight. The ~second generation~ of the Luna utilizes up to two times the T-Sonic™ power to remove up to 99.5% of dirt and oil that can contribute to adult-onset acne breakouts. The narrow tip is perfect for cleaning every nook and cranny of your face, getting into the creases on the side of your nose you blended your concealer so carefully into in the morning. Luna Mini 2 is the slightly smaller, rounder sibling to the Luna 2, and fits perfectly in the palm of your hand! So much power in a little device! It has eight different vibration intensities, which you can control with the little +/- buttons on each side of the power button. If you have sensitive skin, you can keep it on a lower setting for everyday cleansing, and then crank it up to a higher-level vibration for a deeper exfoliation once a week. 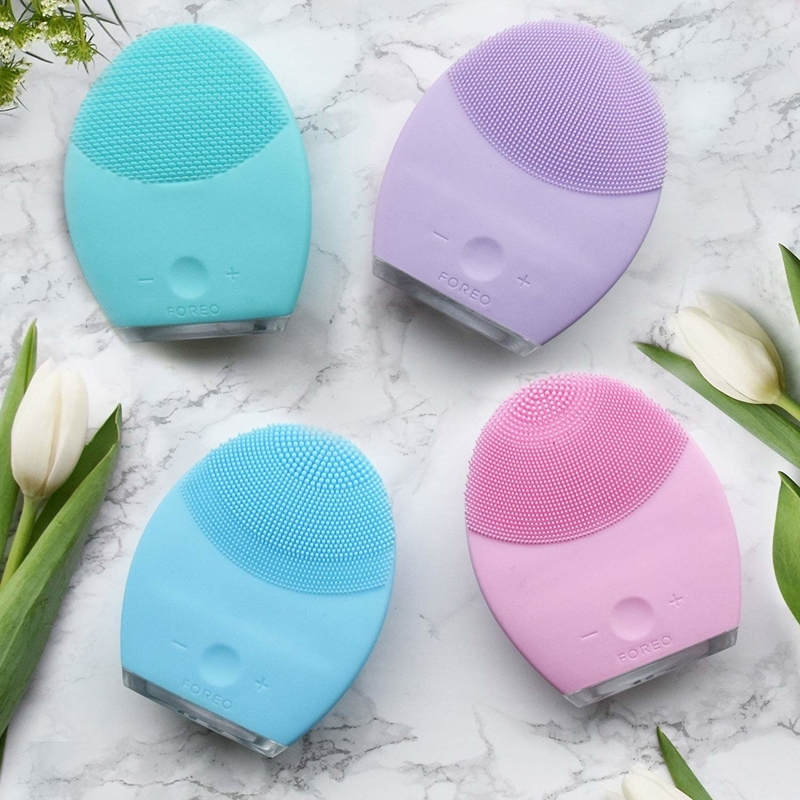 Check out a BuzzFeeder's in-depth review, "This 60-Second Face Cleansing Device Is A Game-Changer For Your Skin Care Routine" to learn more! Luna Fofo lasts for 400 (!!!) uses out of the box and has snazzy 24K gold-plated skin sensors that take mere seconds to read skin hydration levels and customize your optimal one-minute skin cleansing routine — it's like having your own skincare assistant! 1. 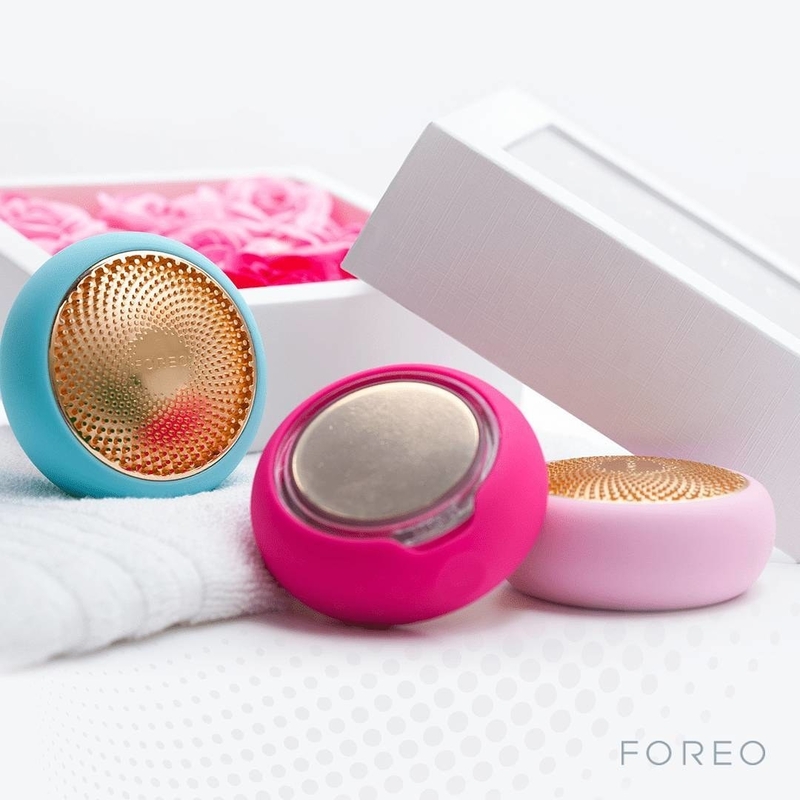 Sync your Fofo with the Foreo For You app (free on iTunes or Google Play). 2. Make sure your skin is clean and dry. Onscreen instructions will tell you where to apply Fofo's dual sensors to four different facial areas to ~analyze~ what's going on with your skin. The sensor readings/results will appear in your app. 3. Now you have a personalized cleansing routine saved to your device! Then just clean away. The device will pause briefly when it’s time to move to another facial area. 4. Fofo adjusts alongside you and your skin's condition, so make sure to analyze skin regularly to ensure optimal cleansing! The Issa 2 might actually make you excited to brush your teeth for once in your life!! In addition to being waterproof like the others, it keeps a charge for 365 days, has eight vibration speeds, and a little light to indicate when you've brushed for the recommended two minutes. AND THAT'S NOT ALL! The heads are designed with PBT polymer bristles designed to help remove heavy plaque buildup and gentle silicone bristles for your sensitive gums — and they last SIX MONTHS! Because most of us are guilty of not switching our brushes/brush heads enough anyways, so whew. Check out a BuzzFeeder's full review, bluntly titled "Stop Putting That Gross Germ-Covered Toothbrush In Your Mouth And Try This One Instead," to find out why the Issa 2 is way better than your current toothbrush! You can order replacement brush heads for $19 each (available in five colors). Issa Mini 2 leaves your teeth sparkly clean too — just in a more compact form. The only real differences are that it comes in a compact, travel-friendly package and the heads last 265 days instead of 365. So you have no excuse not to keep your dental hygiene in tip-top shape, even if you're always on the go! UFO is the ✨first of its kind✨ — a 90 second face mask that uses gentle heat and T-Sonic pulsations to infuse active mask ingredients into your skin, so they penetrate deeper and work more effectively. In addition to heat, it also has cooling technology to diminish the appearance of pores and reduce puffiness — no more freezer storage needed! Plus, you can also treat your skin to LED light therapy with three targeted photofacials that use red, green, and blue light wavelengths to refresh your skin. Hello, a high-grade facial that fits into the palm of your hand! SIGN ME THE F UP. 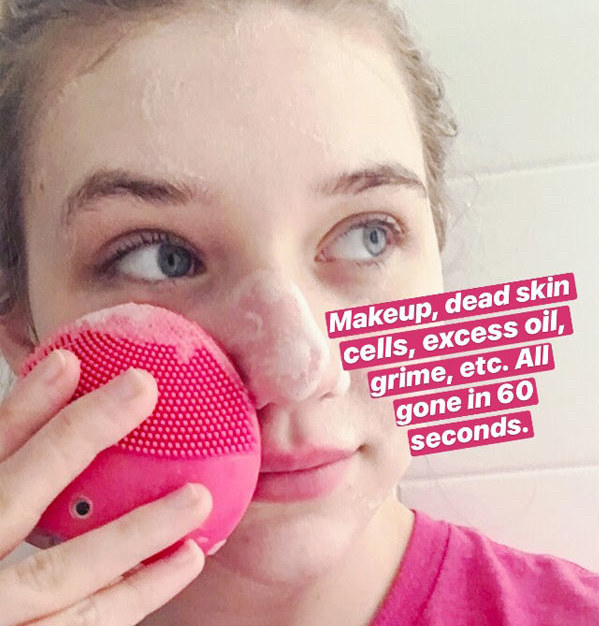 All you have to do is download the Foreo app (free on iTunes or Google Play), pair it with your UFO, secure a UFO Activate Mask by clipping the attachment ring, gently glide the UFO in circular motions until it automatically turns off, and then dispose the remainders of the mask under running water, and rinse off! There are four types of Korean-inspired masks available: Make My Day, Youth Junkie, Call it a Night, and Glow Addict. If you want all the same benefits of the UFO, but want something even less bulky, look no further than the UFO Mini. Indulge for less! Get ready for optimized treatment routines created by skincare experts for each UFO Activated Mask formula! It's also safe for all skin types, including those with photosensitivity, and it even comes with a 10-year quality guarantee and 2 year limited warranty! What's there to lose, TBH? 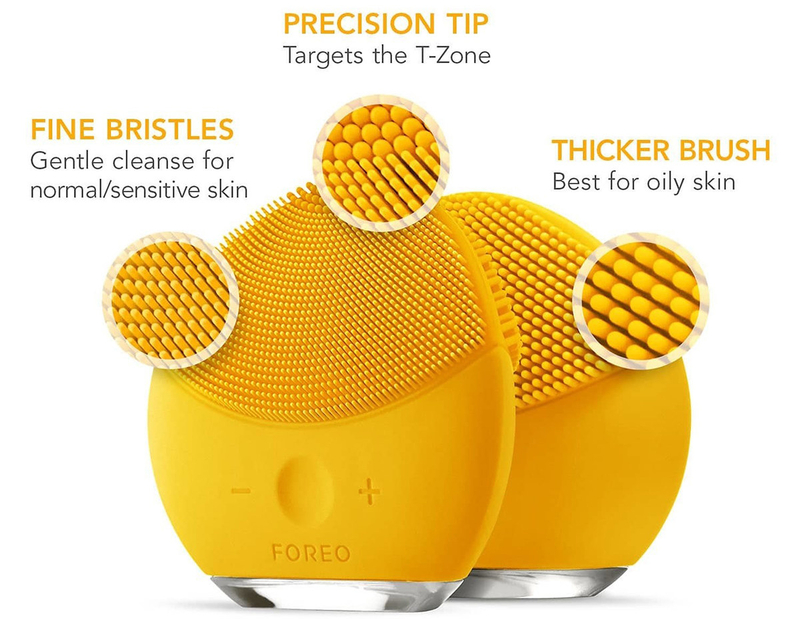 Shop all the deals on Foreo's website, like, RIGHT NOW!